This Pad Storage Sleeve holds and protects your pads when they’re not in use. 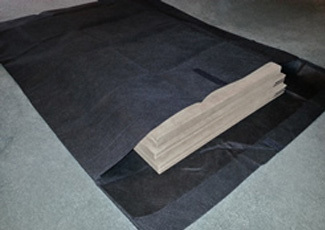 The inside of this bag is a special material that allows the pad pieces to slide in and out easily. Holds an average of four pad pieces. Free Shipping with MagnaLoc Table Pad Orders only.